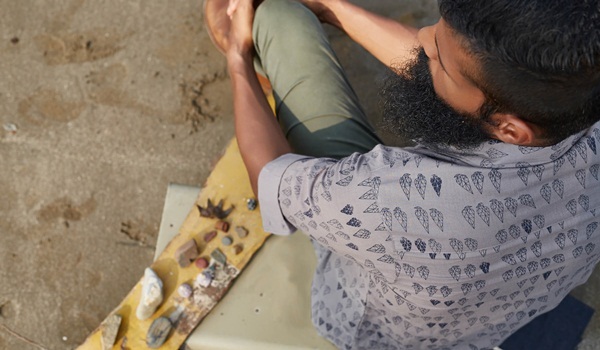 Go the distance with the newest eco-conscious labels from India, as they invest in design and textiles of the future. With Emma Watson, a regular champion of sustainable fashion, rising to the Green Carpet Challenge in a Calvin Klein gown made of Newlife fabric (made of recycled plastic bottles), at the Met Gala in New York last month a�� the movement gets an elegant nod from the fashion gods. Closer home we have Mumbai-based Anita Dongre with her organic clothing brand, Grassroot, besides labels like p.e.l.l.a of Bengaluru and Upasna from Auroville a�� all supporting eco-conscious fashion. Here we identify and explore the work of four sustainable design brands in the country that have made a mark. Employing energy and resource conservation, fair trade principles, organic farming techniques, chemical-free dyes and more, these inspired and inspirational designs come at little cost to the environment and at no cost to the soul. Apurva Kothari decided he wanted to create a a�?consumer movement for ethical fashion in Indiaa�� when he heard about the cotton farmer suicides and started No Nasties back in 2011. The founder and ethical entrepreneur extraordinaire works with only organic farming collectives and supports women farmers in Maharashtra (with the highest rates of suicides). Today, the brand has also grown aesthetically with the advent of a new design team. a�?Shweta Deliwala joined us last year and oversees all of the design. Since then, wea��ve had some fantastic collections,a�? says the Goa-based former techie. a�?We now use not only jersey, but also slub and melange knits, and woven fabrics for shirts and scarves, too.a�? No Nasties offers chic, modern apparel for men and women. We love the quirky prints on mena��s shirts, the classic Oxford polo tees and the lovely womena��s dresses. Look for geometric-printed maxi dresses to sleek pencil skirts and shift dresses with a raven logo. It was all in the family for Warwick-graduate Vibhuti Behl (26). 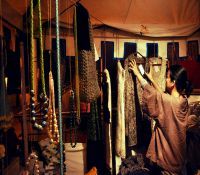 The Mumbai-based design entrepreneur, inspired by her familya��s polyester recycling business, launched her eco-conscious label, Roha (meaning a�?to risea��) last year, and found her collections selling out at exhibitions in Bengaluru and Mumbai. With no formal design training, the Panipat-born confesses to being an intuitive designer. a�?The idea is to give you something that will help you slow down and savour the beauty of our age-old fabrics and weaving techniques. Most of which are completely environmentally friendly, by the way!a�? 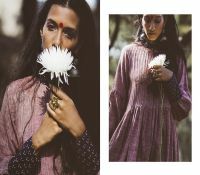 We love her colourful shift dresses with ethnic prints and longer anarkali-style kurtas in earthy prints and panelling. a�?What we need to be more conscious about is how we use our resources. We dona��t need to fill the void with blind consumption, but make smart choices.a�? There are plans of a a�?Babya�� Roha line of organic cotton clothes soon.